The U.S. Navy published several books about their work on the Northern Barrage in Scotland, assembling mines and laying them between Norway and Orkney. 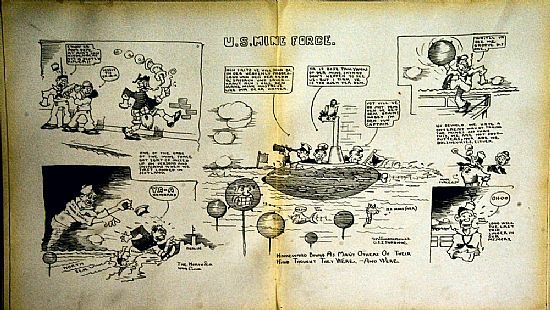 Despite its formal title, “The Northern Barrage, Mine Force, United States Atlantic Fleet, the North Sea, 1918” this book is a popular account, with cartoons, photographs and songs. The books have been reprinted and are available on the Internet.